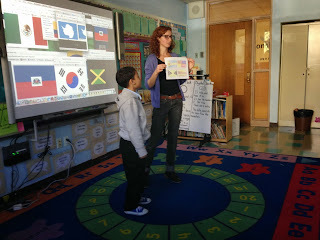 Teaching Artist Brooke discussed the use of color in flags from around the world. Students then created their own unique flags to share with the class. The students' creativity was astounding! One student said: "I made the Puerto Rican flag but, I made it pink because I like pink better!"